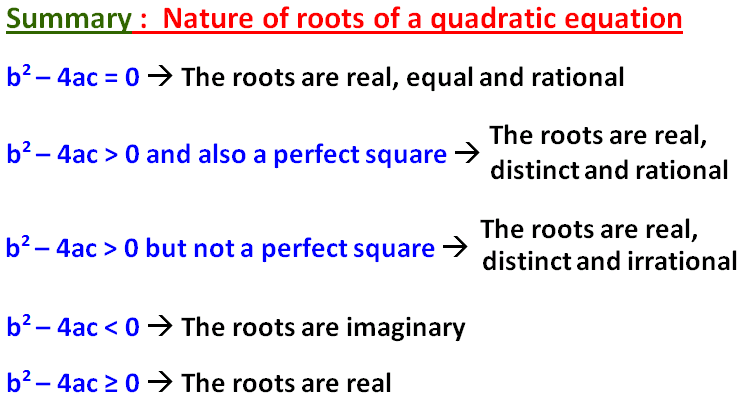 About "Properties of quadratic functions"
Here we are going to see the properties of quadratic functions which would be much useful to the students who practice problems on quadratic functions. 1. The zeros of a quadratic function f(x) = ax²+bx+c are nothing but the two values of "x" when f(x) = 0 or ax² + bx +c = 0. Finding the two zeros of a quadratic function or solving the quadratic equation are the same thing. 3. 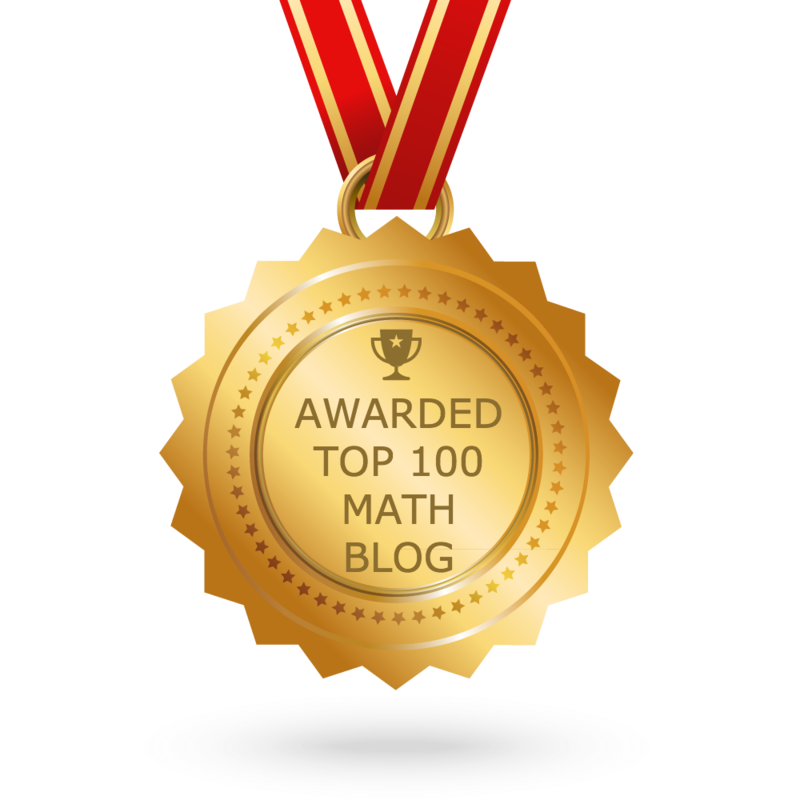 There are three methods to find the two zeros of a quadratic function. 4. 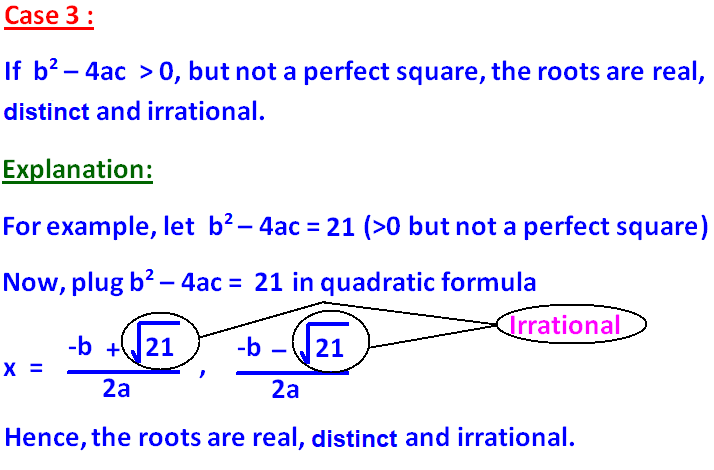 If the two zeros of a quadratic function are irrational, then the two zeros (roots) will occur in conjugate pairs. That is, if (m+√n)is a root, then (m-√n) is the other root of the same equation. 7. 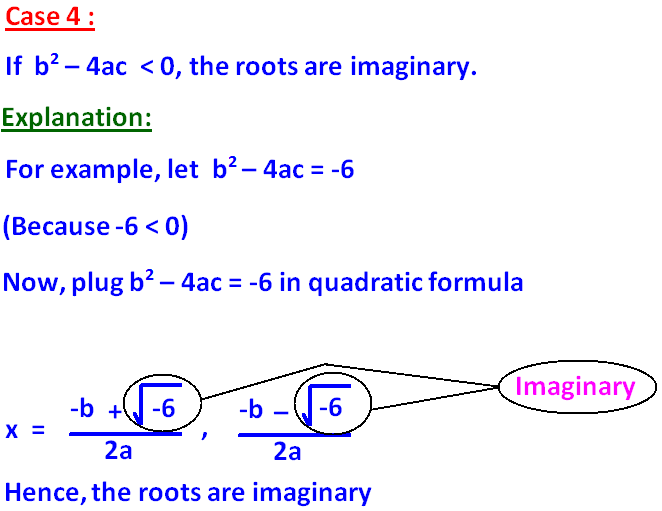 If one zero is reciprocal to the other root then their product c/a = 1 or c = a. 8. 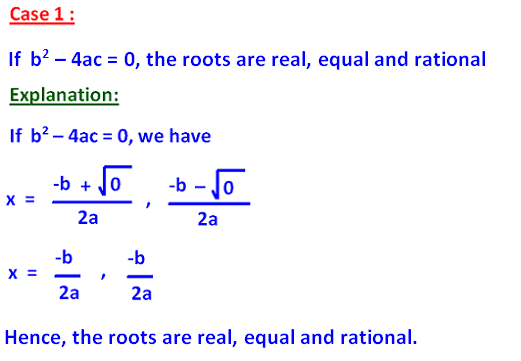 If one root is equal to other root but opposite in sign then their sum = 0. That is, b/a = 0 and so b = 0. 9. The graph of any quadratic function will be a parabola. 10. The zeros of a quadratic equation are the x-coordinates of the points where the parabola (graph of quadratic a function) cuts x-axis. 11. If the two zeros of a quadratic function are imaginary, then the graph (parabola) will never intersect x - axis. 12. The two x-intercepts of a parabola (graph of a quadratic function) are nothing but the zeros of the quadratic function. 14. To know at where the parabola cuts y-axis or y-intercept of the parabola, we have to plug x = 0 in the given quadratic function. 15. f(x) = ax² + bx + c, if the sign of the first term (ax²) is negative, the parabola will be open downward. Otherwise, the parabola will be open downward. 16. 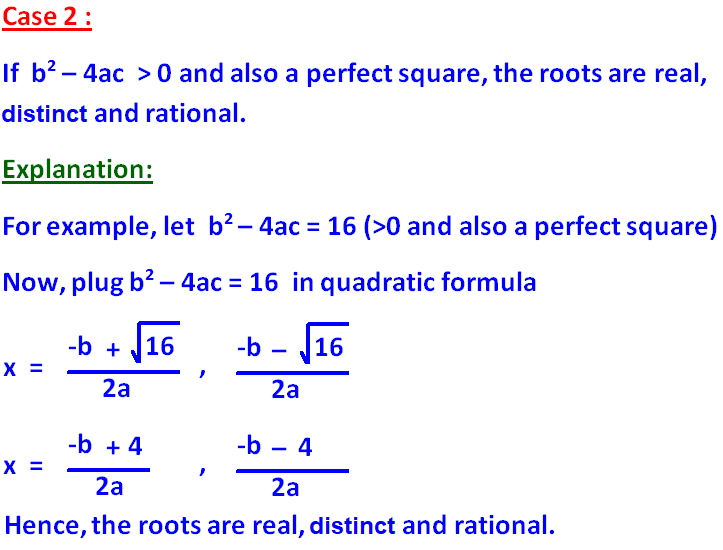 The discriminant b² - 4ac discriminates the nature of the zeros of the quadratic function f(x) = ax² + bx + c.
Let us see how this discriminant "b² - 4ac" can be used to know the nature of the roots of a quadratic function. After having gone through the stuff given above, we hope that the students would have understood "Properties of quadratic-functions".